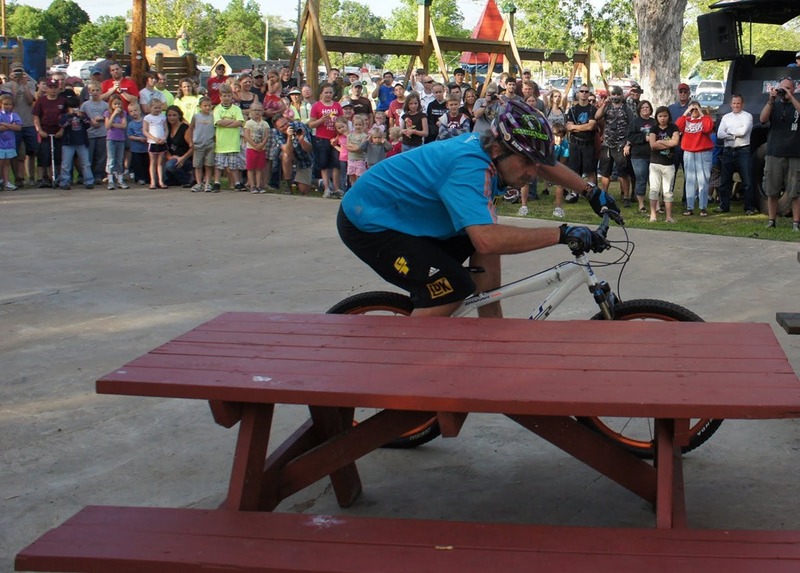 At the Cuyuna Lakes Mountain Bike Festival grand opening last June, I asked Hans “No way” Rey how he was able to leap his bike vertically from a dead stop to the top of a picnic table. 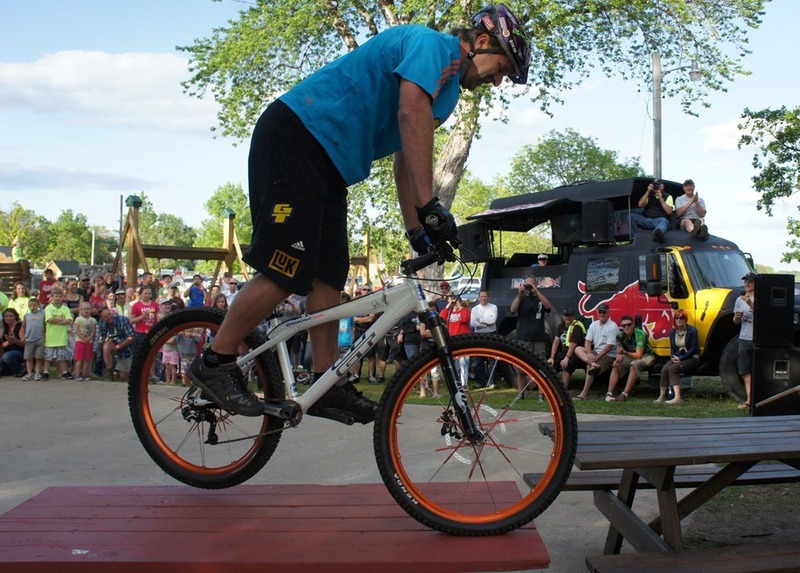 He pointed to his calf muscles, explaining that he lifts the rear wheel off the ground with his rear foot pushing back and up against the rear pedal. I didn’t own a mountain bike at the time so this concept didn’t make sense to me. Pushing forward on the bars as you ‘scoop’ backwards against the pedal with your rear foot to lift the rear wheel off the ground will also help. After just a few minutes of practice today, I was able to use this motion with either foot to clear a curb with my rear wheel. No bunny hop (or is it one word, bunnyhop?) yet, but I’m confident I’ll get it. I’m young yet.